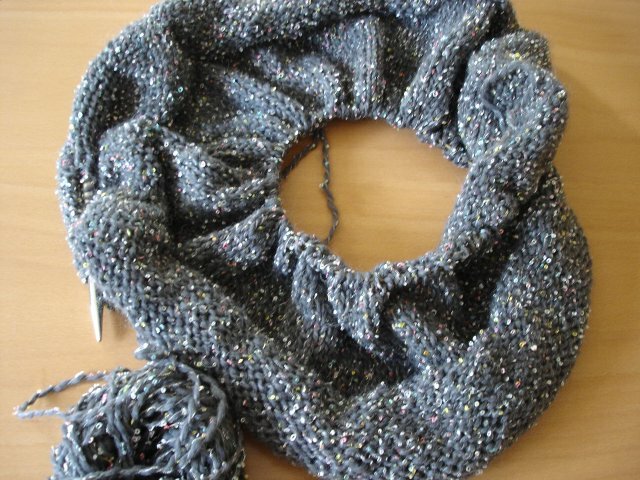 The Mobius scarf looked like this yesterday, but as soon as I cast off the needle, I knew it wasn't right. So, out it came. Pity I'd done such a terrific job of working a picot cast off. Will have another go with half the number of stitches and a smaller needle size soon. Let's hope I don't overdo the redux.